Latimer Hinks solicitors’ family law specialist Judith Middleton is advising couples, who may be about to split up after a fractious Christmas break, they should look at alternatives before resorting to the courts. The first few weeks of January are the busiest time of the year for family lawyers with unhappy couples starting divorce proceedings after being cooped up together during the festive break. But Judith Middleton is cautioning couples to think carefully and try mediation and collaboration before rushing to court, as marriage breakdown can be damaging both financially and to children. In the current recession, the mortgage market is affecting couples who split as it is no longer so easy to get a loan to buy property. A separation may result in the one who leaves the family home having to rent for the foreseeable future until the main family home is sold or funds raised against it as part of a settlement. Divorces can also have a devastating impact on children, according to the Royal College of Psychiatrists. It says children’s feelings of fear, anger and rejection are often made worse by the fact that many have to move home and, sometimes, school when parents separate, and most families in this situation come under some financial strain. More than half of couples divorcing in the UK in 2007 had at least one child aged under 16, according to the College, meaning that there were more than 110,000 children who were aged under 16 when their parents divorced. 20% of these children were under five years old. However, many more children go through parental separation each year that are not included in figures like this, as their parents were not married. Judith believes that couples should be encouraged to look at mediation or collaboration to resolve issues around finances and the children rather than go to court. A solicitor can put a client in contact with a mediator, who will talk to the couple individually about how the process works. Meetings are then held about the issues needing to be resolved, to exchange financial information and to look at the options available. Once proposals have been put together that the couple find acceptable, the mediator prepares a summary along with any financial details and these will be sent to each party for them to discuss with their solicitor, who will then convert it into a legal binding document and carry out any necessary implementation. The collaborative route involves each person appointing their own lawyer but instead of conducting negotiations between them and their partner by letter or phone, the couples meet together to work things out face to face. Each party’s lawyer is by their side throughout the process and therefore they benefit from legal support as they go. 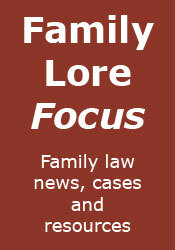 The aim of collaborative law is to resolve family disputes without going to court. Judith said: “Mediation is surprisingly effective in cases where emotions can make it difficult to achieve a settlement any other way, for example in family matters or disputes over wills. She added: “I would also urge couples to consider collaboration, which can help resolve differences without having to resort to a court hearing. 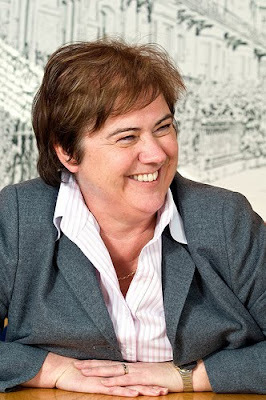 Judith is the Tees Valley’s spokesperson for Resolution, which represents more than 5,700 family lawyers nationwide.